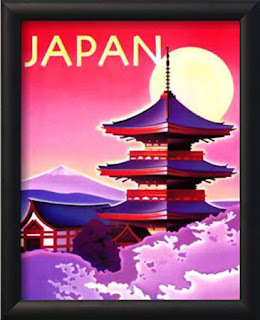 It’s nice to think about Japan during these dreary days of the new year. There is an overwhelming misunderstanding of Japanese culture and cuisine. I am personally quite ignorant of modern Japanese culture, and only slightly familiar with the cuisine. 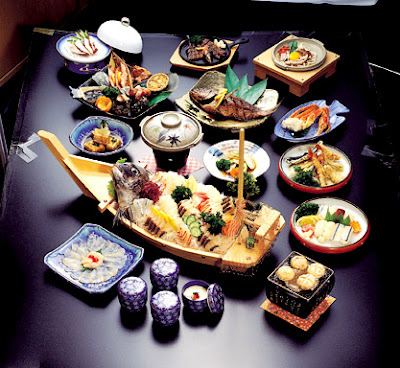 This is what makes the fact Japan was the most popular culinary destination during the recent poll so intriguing. What do I know about Japan? There are two viewpoints, one of a serene monastery overlooking snow capped mountains where quite monks live long lives filled with prayer and miso soup. This fills me with a soft, calming feeling, I like Japan! 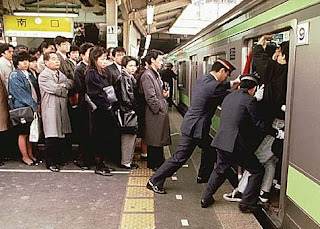 On the other hand I think about a subway train packed so tight the doors burst open at the next stop. Where people’s main meal might very well come out of a vending machine, or off that surreal conveyor belt of sushi. And what do I know about Japanese food, basically, three things, sushi, noodles, and satay or skewered, grilled meat. These are rather general ideas, that can be found in any culinary tradition. So what makes Japan such a likable destination for foodies. I’m guessing it’s a lure into the unknown that is so appealing. While I profess my ignorance, there are many people, chefs included who claim to know Japanese cooking, but have not traveled any further east than Youngstown, and beyond their three favorite sushi items they can’t identify one other Japanese ingredient. For this reason we as mid-westerners have little exposure to the full scope of Japanese cuisine. We get to try bits and pieces that we like, so we want more. It only makes sense. Why go to France (second in poll) and dine on tapenade, casssoulete, or beef bourguignonne that tasted as good as that French restaurant in your neighborhood. When the plane touches down in Japan, I’m guessing there will be very little familiar on the culinary landscape. What a treat for an adventurous foodie!